What to consider when choosing the right email marketing software? Firstly, I want to reiterate the fact that Email marketing isn’t dead (no matter what that tech guy says on twitter). It is thriving and growing more brilliantly than ever before; especially, now in 2018. A must have tool for any online marketers arsenal; email marketing is the perfect way to go if you want to have a healthy dose of repeatable traffic, a good rapport with your audiences and a surety that your messages are reaching where they should (your subscriber’s inboxes). But before you can do all that and better reap the benefits of email marketing (there is a lot to reap, mind you), you first need to choose the right email marketing software to help you do that. Needless to say, that’s exactly where the problem lies. Email marketing software – Still the next big thing? Like any other aspects of your business endeavors, choosing the right email marketing solution is certainly going to be a very big decision to make, especially since there are a ton of different options to choose from and having no so-called “single perfect solution” worth recommending. Fortunately, even though they are all quite similar in nature, each email marketing programs are slightly different to one another and are designed to suit different businesses – meaning that there is a software system for everyone. Whatever, your email template and the content quality must be out of the box; go for a tool that supports email platforms. To save you from the worry of making the wrong decision or having to endure the hassle of switching gears later, here’s everything that you need to know about choosing the perfect email marketing software for your business (thank me later won’t you?). 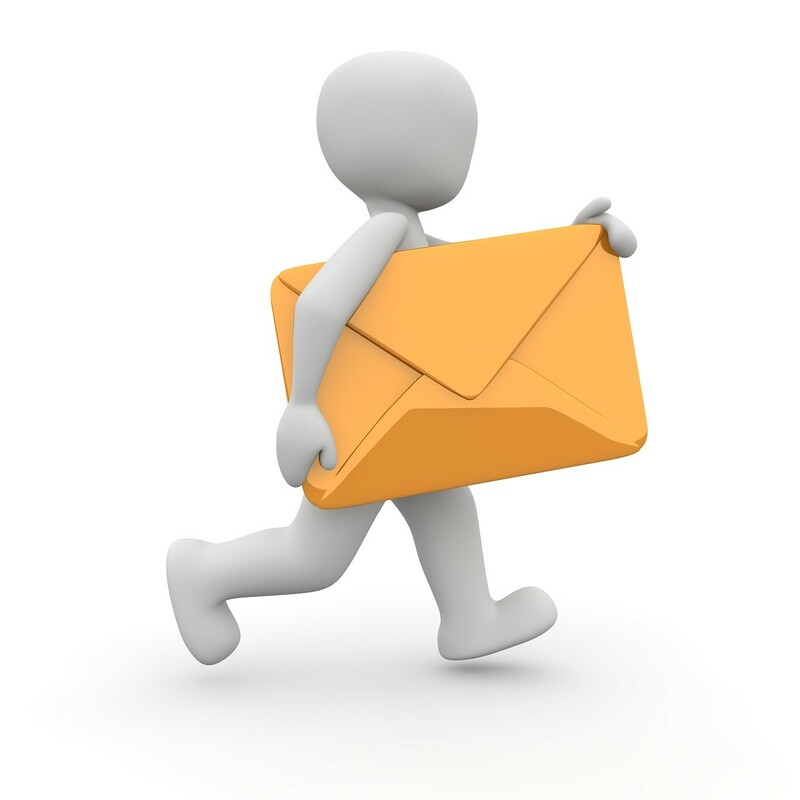 Six things to look for when choosing your Email marketing solutions – read this now! Always consider it’s an honor and a privilege to be allowed to appear in someone’s inbox, and being someone who knows and values the importance of it, I suggest that you treat it as such. Creating emails that look professional is important because then only the user will have the drive to take them at face value and will feel the need to interact with it. Your emails must not play spam games around. It doesn’t matter whether you want to send highly designed emails, short text-based emails or custom coded ones, you would surely want to make sure that the email marketing solution that you are trying to buy is equipped to handle the different needs of yours. Let’s get the most obvious out of the way; Email marketing solutions aren’t the cheapest kind. They can be one of the more expensive software tools in your arsenal. Fortunately, though, most of them do offer a free trial period (usually two weeks) to try them out before you need to open your wallet for them, helping you to decide whether it’s going to be the perfect one for you or not. If you are looking for something a bit more short-term or don’t have too much money lying around, I suggest that you try out the free plans first before you decide whether you want to switch over to the paid one or not. This is important because even though now you may not need the paid services, in the future, when you outgrow your current levels, who’s to say you won’t need them then? (Trust me, you’ll surely need them). Perhaps my favorite feature on any Email marketing solutions out there, Automation can allow you to email your subscribers automatically based on a trigger of your choosing. For example, let’s say that you want to say “hi” to your every new subscriber but don’t have the time or the drive to do it, Automation is one function that can help you do it, sending your new subscribers a mail immediately after they sign up for it – all without needing you to intervene. When choosing Email marketing software for your business, I suggest that you take a closer look at how their Automation tool has been implemented and how convenient it is to use. Furthermore, you’ll also want to make sure that it’s intuitive, easy to use and can churn out emails whenever and however you want them to be. This particular aspect is very, very important considering that the usual email marketing solutions typically tends to charge you by the number of email subscribers you currently have. The more subs you have, the greater your expenses going to be, and the fewer subscribers you own – ah, you get the idea right? Currently, there are two different ways on which the subscribers are counted to determine the payout rates. List based; under this method, email-marketing solutions charge you by the total number of people you have under your account. The problem with this one is that if a subscriber happens to be on two of your lists, you’ll be charged twice under the impression that they are two different people even though they are not. Subscriber-based; on this particular method, you’ll be charged based on the number of unique mailing addresses on your account, regardless of how many lists they are on. When picking out your best Email marketing software solution, you will definitely want to know whether they are following the list or subscriber-centric models, as this can greatly affect how your experience with it. Furthermore, being aware of this clearly can also save you a ton of time, money and a lot of headaches down the line. If you are a small business owner or manage a colossal empire, the chances are that you may be using a ton of different tools to help run your business better. Being just another addition your ever-expanding software toolbox, it’s very important that the email marketing solution of your choosing should have the capability to integrate and co-exist well with the other tools in your arsenal, as this can help you get a smooth email marketing experience in the long run. As far as online marketing software’s are concerned, having Good customer support to rely on is essential because the next time when a problem occurs with your software unit (trust me, it will) or you want to know about a particular feature. They are going to be only people that you count on. The next time you decide to buy an email marketing software system, check and make sure that they have a good customer support system in place. Furthermore, also check to see what kind of support services are they going to be offering. Do they offer phone support? Or do they only offer Email based ones? Whatever the case may be, always make an effort and find out everything about their customer support system before you actually plunge in. Email marketing – in its purest form – is one of the most cost-effective ways out there to help you engage with the consumers, sell your services and build a good rapport with them. In fact, it has been estimated that companies who prefer to send automated emails are 133% more likely to impact and correspond with a customer’s purchase cycle than the companies who do not. To put it frankly, email marketing is still a really, really big deal, and if you are a business owner trying to engage with the customers or is trying to expand on your portfolios, you’ll surely appreciate the awesomeness of an email marketing tool and the many benefits it brings to the table. A way to connect directly with the user – that is what email marketing software’s are offering us. When shopping for them, it’s important that you try out a few different options to help you better determine which one is going to be the best option for your business. Sathish Arumugam - a professional blogger, web designer, entrepreneur & digital marketer. It's my great privilege to share that I am the founder of this Traffic Crow & SGS Mediasoft. I have been in this blogging field for more than 8 years. Email marketing is certainly very benefial if done the proper way. It gives you direct access in your target audience inbox. Therefore the chances of it getting noticed and read increases manifold. You ahve discussed some important point here which is worth taking note of. Wow really Best Information ..